Isn’t a secret that the fast fashion industry is constantly bringing up new styles to replace the “old fashion” ones, making costumers think they need to buy more cloth and get rid of the ones that are not ‘fashionable’ any more without taking in account they still in good conditions. These speed and low cost fashion represent a huge amount of waist and each year we produce 3 percent more than the year before. Prints, vibrant colors and details on the fabrics are always a must-have for designers and customers but all of these amazing fabrics contain a huge amount of toxic chemicals. To achieve them they need to be dye and this practice is the second largest polluter of clean water. As we said before, one of the big reasons of textile waist is the excessive amount of people buying new clothes and throwing the ones that fast fashion industry make them think they are no longer fashionable. The low cost of retailer doesn’t help neither, it generates the constant need of buying new clothes since is cheaper to buy brand-new garments than to repair them. But there are various ways to help the environment and have a sustainable fashion. Brands like Adidas, American apparel, H&M and Toms are trying their best to produce ecological collections. Adidas released products made from recycled ocean plastic. They released 42 pieces such as crop tops, bomber jackets, leggings, onesies, shorts and gym bags. They also had sneakers out of ocean plastic and some customers affirmed they are the most comfortable running shoes they’ve ever had. American Apparel created a line of T- shirts, underwear and baby clothes made with 100% organic cotton. 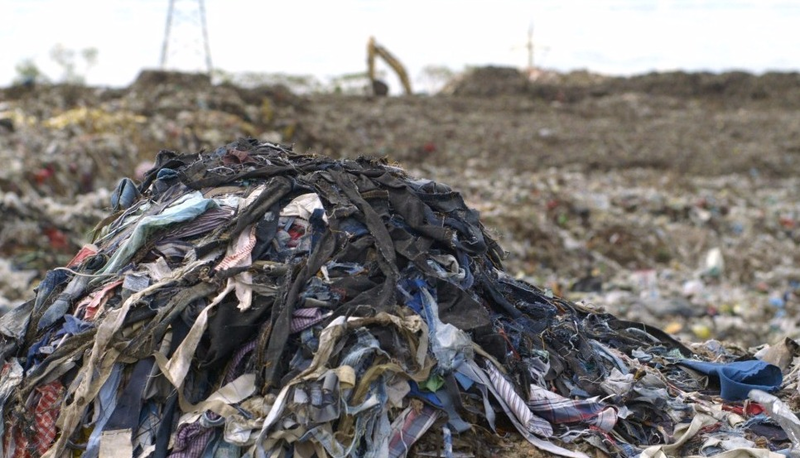 They are also trying to eliminate their chemical waste by using low impact dyes. H&M produced their first environmental Collection in 2011 with garments made of recycled polyester and organic cotton, they also had reduced the amount of water used for jeans production. Although, Shoe brand TOMS helps people from Iraq and Kenya by donating them a pair of shoes every time a customer purchase one pair; they also have a line of vegan shoes made with recycled plastic bottles and twill that features hemp. If you as a costumer want to help the environment keep your clothes for a longer period, repair them, be creative and be aware of the brands that are working on their ecological collections so you can support them.